Dr. Labosky offers a number of cosmetic treatments to help restore and enhance your teeth. Whether your smile just needs a quick upgrade, or a complete overhaul, Dr. Labosky is the cosmetic dentist that patients in State College trust. 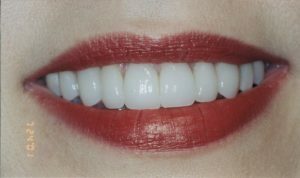 With virtual smile design, he can even show you what your teeth will look like using different types of procedures! This allows you to make educated decisions about the treatment that’s right for your needs. Fearful or anxious patients will feel at ease when they work with Dr. Labosky. Aside from our friendly and welcoming environment, Dr. Labosky also offers options for dental sedation that will help you receive the treatment you need in a pleasant and stress-free manner. Nitrous oxide: Also known as laughing gas, nitrous is delivered through a mask worn during your appointment. It works quickly to help you relax, and leaves your system just as quickly so you can resume your normal activities. Oral conscious sedation: This type of sedation is delivered through a pill taken one hour before your appointment. While you’ll still be awake and responsive, due to the nature of the medication you will feel completely relaxed, almost as if you were asleep. You will find our office equipped with the latest dental technology because Dr. Labosky strives to make procedures more comfortable and efficient for our patients. You may notice things like laser cavity detection, which pinpoints decay in its earliest stages, giving you the opportunity to utilize less invasive treatment procedures. 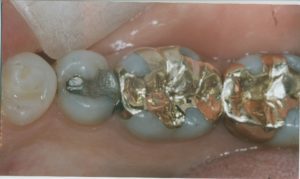 Or digital impressions, which deliver a more accurate and timely images of your teeth in need of repair to the dental laboratory, eliminating the need for messy and uncomfortable impressions. Don’t settle for being just another patient at a “big box” dental office with a one-size-fits-all treatment approach. Contact Dr. Labosky today and see how different dentistry can be! With over 20 years of experience and hundreds of hours of advanced training, Dr. Kevin P. Labosky can restore or enhance your smile and take care of all of your preventive needs. The best part is the personalized care you’ll receive that is tailored to your individual needs. His reputation has been built over the years on his excellent results achieved through using advanced technology, and the most innovative techniques. If you would like to reach Dr. Labosky, you can contact him through his website or by calling 814-237-7004.